U.S. welcomes foreign athletes, yet blocks high-skilled workers? The New Yorker’s James Surowiecki answered a question I had while watching the Olympics: How many athletes competing for other countries athletes train in the U.S.? Nearly four hundred Olympians who this year represented other countries went to school in the U.S., and many other foreign athletes live and train here—like the British runner Mo Farah, who won gold medals in the five and ten thousand metres after moving to Portland last year to work with the legendary marathoner Alberto Salazar. The June 2012 Case-Shiller Home Price Indices was released and showed that home prices have increased across the country in the past year. Both the 10 City and 20 City composite indices were positive, as was Portland. The Portland index’s year-over-year growth of 3.0 percent is the best reading since the summer of 2007, when the momentum of the index was downward, not upward like today. Home prices have now begun to complete the picture of a housing turnaround. New construction has picked up for a little while now and the fact that prices appear to have bottomed as well, further cements the fact that the future in housing is much brighter that it has been in quite some time – although that future is not expected to be anywhere near a return to the go-go days of 2004 – 2006. As of today, there will be seven initiative ballot measures that have qualified for the November 2012 ballot. Although signatures have not yet been fully verified by the Secretary of State, the AOI Executive Committee analyzed each of the measures and adopted the following positions. This measure allows personal marijuana cultivation and use without a license. It sets up a commission to regulate the cultivation and sale of commercial marijuana. The new commission is directed to sell marijuana at cost to pharmacies for medical research, and to adults for profit through state-licensed stores. Ninety percent of net proceeds of marijuana sales are slated to go to the state’s general fund. The commission regulates use and sets prices. Out of 435 congressional districts, 420 districts had higher growth in exports to China in 2011 than they did to other markets around the globe. – Congressional districts all over the country are seeing exports to China outpace exports to the rest of the world according to the US-China Business Council’s (USCBC) annual US Congressional District Exports to China report. Out of 435 congressional districts, 420 districts had higher growth in exports to China in 2011 than they did to other markets around the globe. 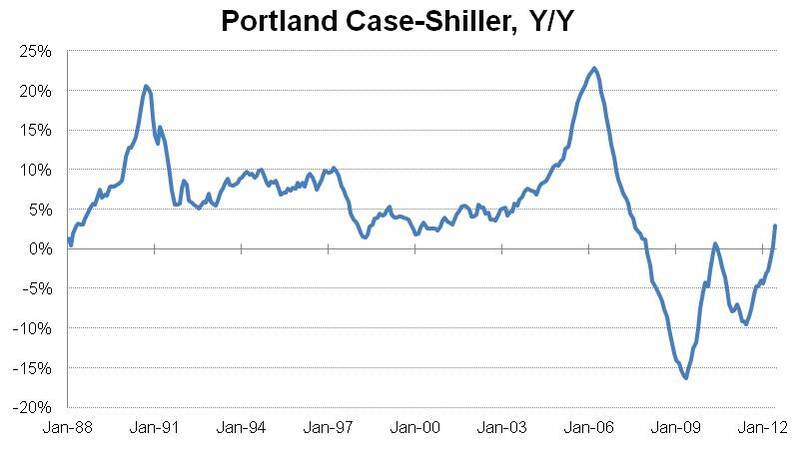 The Portland-area economy continued to outperform the rest of the state in June. 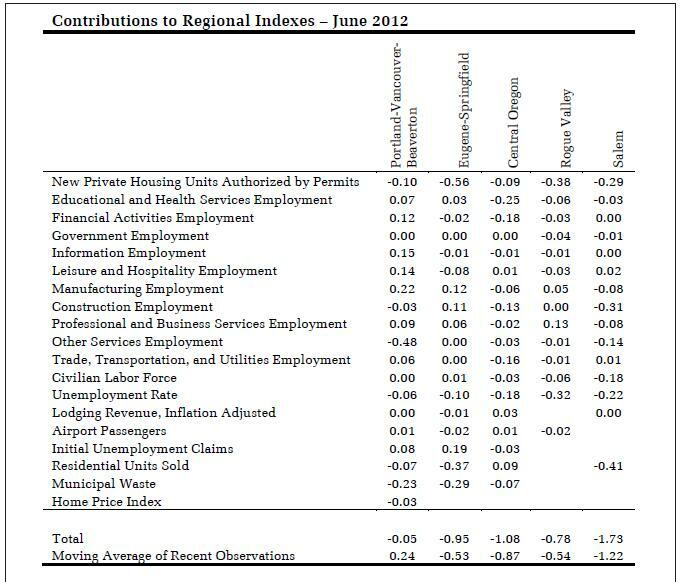 As noted in previous reports, the regional measures are prone to potentially large swings due to the volatility of some of the underlying data, particularly measures of employment. The moving-average measures smooth out much of that volatility. The moving-average measures indicate the Portland economy is growing somewhat above its average pace over the 1998–2012 period. The Eugene-Springfield area lost some momentum in June as building permits sagged, although note that low levels of unemployment claims bolstered the measure. Central Oregon was weak on the back of soft employment growth, but residential home sales were positive. The Rogue Valley area continues to slowly grind higher; the moving-average measures for the region stand at -0.54, compared to -1.2 last June. The Salem region currently lags the rest of the state, with growth well below the average pace since 1999. Is it the end for Dell & HP? Soft computer sales are tearing into both Dell and Hewlett Packard. Stock prices are reflecting their change. 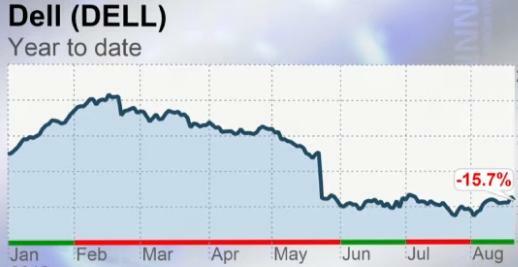 Below is a CNN news commentary on what is causing their fall and what may be their last hope to turn around. View video below. The CBO released its latest report and it’s even more dismal than the one they released in January. “The U.S. budget deficit will shrink this year to $1.1 trillion…The deficit, which would be down from last year’s $1.3 trillion, will fall because of strengthening tax revenue and a slowdown in government spending, the nonpartisan agency said. NFIB/Oregon is joining an effort led by Associated Oregon Industries (AOI) to petition the Oregon Supreme Court on behalf of Oregon limited liability companies (LLCs). NFIB alerted its members a few months ago about a recent decision by the Oregon Court of Appeals that will have huge liability ramifications for owners and members of LLCs in Oregon. In Antonio Cortez v. Nacco Materials Handling Group, Inc., the Appeals Court ruled that the exclusive remedy provision of Oregon’s workers’ compensation law, ORS 656.018, does not protect the members of an LLC from tort liability. The Oregon Court of Appeals held that a handyman was an employee, and not an independent contractor, for unemployment tax purposes. Under Oregon law, an independent contractor must be both “free from direction and control over the means and manner of providing the services, subject only to the right of the person for whom there services are provided to specify the desired results” and “customarily engaged in an independently established business.” ORS 670.600(2).